The TPA was indeed favoured on the Evening of the 30th – a Thursday. 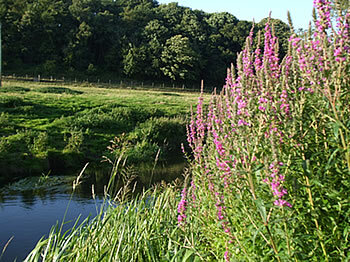 Unlike the preceeding days, it was delightful sunny summer’s evening! 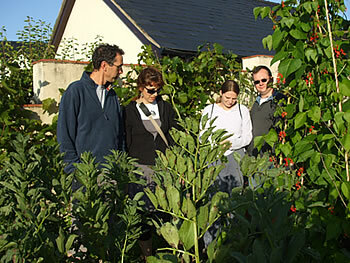 Eleven visitors gathered to enjoy the delights of the garden at Brownhills House, Ruyton XI Towns. 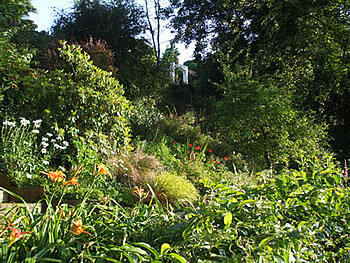 The 2 acre garden to the rear of the house is on a 45° slope down to the River Perry. Roger and Yoland Brown began seriously cultivating and landscaping the ground in 1972. The garden has come a long way from the scrapyard it was then. 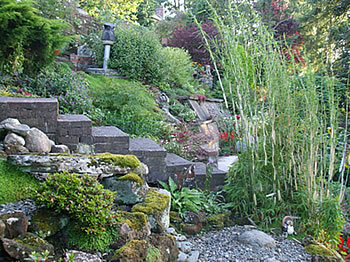 Approximately 650 steps have been introduced to negotiate the slope. 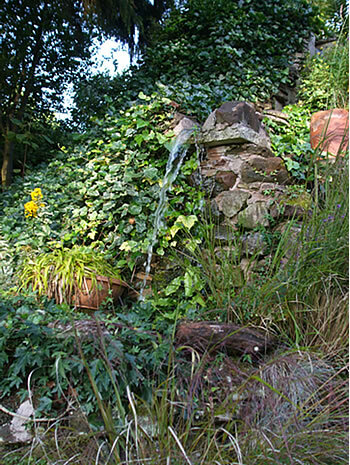 There are a wealth of plants and many features, some quite cleverly concealed, others inspired by great gardens. 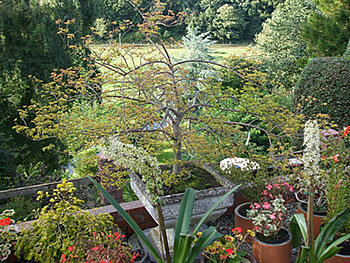 There is also an extensive kitchen garden and plants for sale. 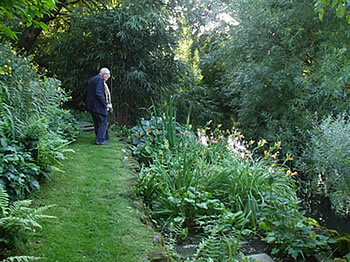 Retirement does not mean an easy life for Roger and Yoland, they still maintain the garden themselves, run a B&B, as well as writing books and editing technical publications. The evening was rounded off with a discussion, accompanied by a cup of tea and homemade muffins in the house. The evening was enjoyed by all and the committee is grateful to the Browns for opening the garden especially for the TPA. 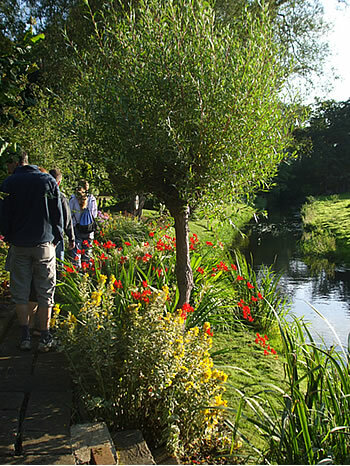 The Garden is open to the public several times a year under the National Gardens Scheme, (NGS).